Ok, sorry about the delay in posting. I have been trying to recreate my correlation C++ software in R and it takes about 3X longer while I’m learning. 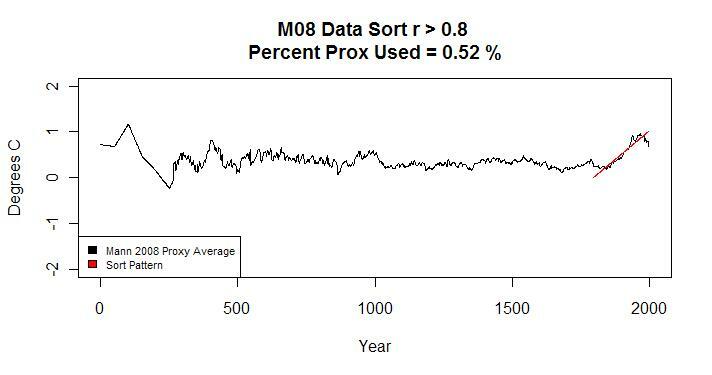 This post lets everyone see how the hockey stick CPS graphs are made. You can put your own patterns in and see how the actual highly random data which is not temperature can make any graph you want and can fool people into thinking it might be temperature. If you don’t want to do it yourself you can see this link below. 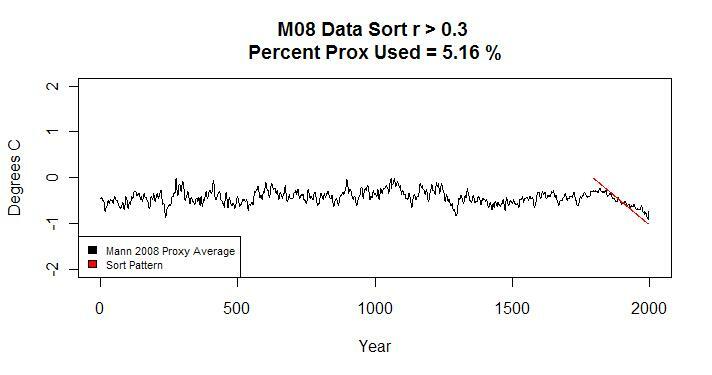 Will the Real Hockey Stick Please Stand Up? I have commented the script quite a bit. I can’t fix the damn quote marks. It copies them into italicized quotes. You need to copy and paste the code into an R script and then correct all the quote marks. Sorry, I can’t get wordpress to cooperate. After you copy and fix the quotes, you can modify the section with ######### below using your own functions or commenting out different ones provided, change all the values in this section and make your own hockey sticks using M08 data. I have examples of positive and negative linear slopes and sin functions. You can adjust the end time and length for each pattern you want to look for. #notes: details.tab here incorporates lat-longs from rtable. This entry was posted on October 19, 2008 at 5:47 pm	and is filed under Uncategorized. Tagged: global, hockey, stick, warming. You can follow any responses to this entry through the RSS 2.0 feed. You can skip to the end and leave a response. Pinging is currently not allowed.